Is SafeTouch Security your best home security option? Our SafeTouch Security Reviews expose the truth. Find out if a SafeTouch Security system equipped with the SafeTouch Security App is the best fit for your families needs. Before signing a 60-month contract with SafeTouch Security…check out our customer Safetouch Security reviews. SafeTouch Security is a southern-based regional security provider that advertises a low $24.95 monitoring rate to generate interest. But watch your wallets…because that price is based on pre-payment for 3 years up front. That’s a whopping $900. Online customer SafeTouch Reviews reveal that unhappy customers often fall prey to 2 Year auto-renewal clauses when they don’t read the small print to find that SafeTouch requires a 60 Day Written Service Termination Notice. Our SafeTouch Review summary and detailed editor’s reviews are followed by a section for SafeTouch Security Customer Reviews and a FAQ section in which we compare Safetouch Alarms with some of the best home security companies. If you currently have a Safetouch Home Security system, we hope you will share your experience with our readers below. Current SafeTouch Security Customer? Leave Your Review! Local security with questionable sales and business practices- many better options available. See how SafeTouch compares with the competition! Headquartered in Jacksonville, Florida, SafeTouch security provides sales, installation and monitoring services in the states of Florida and Georgia-with additional offices in Tampa, Tallahassee, Orlando and Savannah. If you live outside this service area you should consider other home security providers. SafeTouch has a B for a BBB rating, with 209 complaints filed in the past 3 years. For a relatively small regional home security provider, there are a tremendous number of negative online reviews – with allegations of deception and misrepresentations of contract terms. SafeTouch owns their own UL Listed Monitoring Station, as opposed to outsourcing the monitoring to companies like C.O.P.s monitoring. They lay claim to being the largest independent communications-security company in the United States. Includes landline service only…with 2 way voice monitoring. Adds broadband internet connectivity with free Mobile App and Remote Arming and notifications. Adds Cellular Backup with full Alarm.com interactive and home automation capability. They require a 3 year monitoring contract with monitoring rates that run between $29.99 and $49.95. Cellular communication is only available as a back up on their $49.95 plan. There are a great number of online complaints in regards to their 2 year auto renewal clause…so prospective customers want to be sure that they understand the terms and cancellation requirements if they don’t want to be committed to another 2 years. They use a variety of wireless security components from Interlogix and DSC and do not disclose pricing on their website. Expect basic systems to run more than our top rated alarm providers. They offer financing to help keep up front costs down. Keep in mind that this requires yet another contract-which depending on the terms, may be even longer than the monitoring contract. This means you may be committed to paying off the equipment even if you move or have cancelled the monitoring contract. Safetouch customers have filed grievances with the BBB 209 times over the past few years. Based on the sheer number of online complaints, this appears to be only a small percentage of customers who are unhappy with the SafeTouch Customer Service. This is exacerbated by the fact that SafeTouch requires notice of intent to terminate or discontinue service must be received in writing, via certified letter, with signature required, 60 days prior to the end of the contract. The website is vague and lacks transparency, so price comparisons require an in home visit from their sales personnel. Based on numerous negative online reviews…one cannot rely on oral assurances and should get everything in writing and carefully scrutinize the terms of the contract. While SafeTouch occasionally advertises rates as low as $24.95 per month, these rates are only available if the contract is prepaid for the entire 3 year term. The rates start at $29.95-but that is for basic landline monitoring…with no remote management or interactive services available. Cellular protection is only available on their most expensive Secure Ultimate program. This means means that the the home is vulnerable to cut phone and cable lines on a plan less than $49.95. Service is limited to a 2 state region…which means that there may be contract issues if one relocates outside the service area. There is a lot of negative online feedback from those who question the integrity of the company and their business practice. Make sure that you read and understand ALL of the fine print. Many customers have been surprised that when they went to cancel, after they thought they were out from under their 3 year contractual obligation, that the contract automatically renews for 2 years – unless 60 day notice was sent prior to the expiration of the contract. If you reside outside the service area and/or are looking for the best values in home security-with transparent equipment and monitoring prices…. I would highly recommend that you check out our Top Alarm Companies, before committing to a long term contract with SafeTouch. Can SafeTouch Compare to our Top Alarm Companies? If you have experience with a SafeTouch Home Security System, please leave a review below to share with our readers. How does SafeTouch Security stand up to the competition? If you live within the SafeTouch service area of Florida and Georgia, and are looking for a local alarm company to install a system instead of a national provider such as ADT, Monitronics or Vivint – SafeTouch is an option. However, make sure you scrutinize the fine print and clarify all the terms, before you commit to a long term contract. You can see how they compare to our Top Alarm Companies or in the side by side comparison summaries, below. To help eliminate customer confusion and minimize complaints, Vivint lanched an innovative Flexpay option in 2017 which enables their clients to finance the equipment over 42-60 months with 0% interest. Equipment is purchased separately from the monitoring. If a customer chooses to buy the equipment up front…there is no monitoring contract required! • Vivint Home App-Award Winning, 4.5 Star Rating! Before committing to a long term, 60 month SafeTouch Alarm contract, check out our our SafeTouch Security Reviews. Make sure to compare with other competitive home security companies such as Vivint. If you are considering Safetouch Security, you are likely most interested in a quality professionally installed home security system …. Because it is professionally installed and is the most highly recognized and most trusted brand in home security, ADT should be on the top of the list of companies to consider for a professionally installed security system. Frontpoint clearly dominates the DIY alarm category and boasts an A+ BBB rating (compared to a B BBB rating fo SafeTouch) and a fraction of their 209 BBB complaints. Where Frontpoint is transparent on their website…fully disclosing plans, terms and pricing, SafeTouch is rather vague- requiring an in home sales presentation for comparison pricing. Frontpoint offers flexible terms of either 1 or 3 years. With Safetouch, there is a minimum 3 year contract…and many allegations of either misrepresentation or failure to disclose the renewal terms of the contract….in many cases, unwittingly extending the contract terms to 5 years. To the surprise of many customers, the contract contains an auto-renewal clause, with a 2 year contract renewal, if the customer fails to provide written notice 60 days prior to the contract renewal date. Both companies offer quality Interlogix (formerly GE) equipment. With Frontpoint, all components have full pricing and descriptions listed and monitoring costs are clearly spelled out and run from $34.95-$49.95. SafeTouch lists their monitoring features and pricing, but equipment costs are no where to be found. Frontpoint includes 100% cellular monitoring in all their plans…where as SafeTouch customers must get the $49.95 Secure Ultimate plan for cellular protection. Frontpoint offers a simple, transparent online process for obtaining home security. All pricing, terms and options are readily available for comparison…and they enjoy an impeccable A+ BBB rating. Their systems are 100% wireless and come pre-programmed and fully configured –so all you have to do is mount the sensors, and call in to activate. They provide low pressure phone support and system design assistance and offer a 30 day, no questions asked return policy. SafeTouch provides little online detail and one must schedule an in-home appointment with a salesperson to get details. The process is reminiscent of the encyclopedia or time share sales process-with a “free” gift for sitting through the sales pitch. If you want to avoid the sales tactics and “fine print” you may wish to first explore other options. 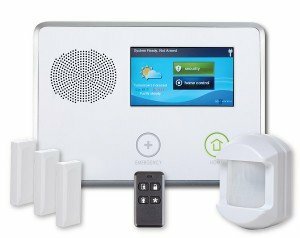 The folks at Frontpoint have a stellar reputation for delivering simple, superior security solutions and home automation products and their customer service is second to none. Link Interactive , boasts an A+ BBB rating…and a 98% customer approval rating. And while most companies make it a point to resolve issues once unhappy customers take the extreme measure of filing a formal complaint with the BBB, Link Interactive makes it a practice to ensure customer satisfaction right out of the gates. Consequently, they have not had a single case lodged against them in the past 3 years! They offer an exceptional wireless security system from 2GIG Technologies. , with a variety of very competitive equipment offerings to meet any budget. Want video? No problem…just $5.00 more. With over 60 years’ experience professionally installing home security systems, (their parent company is Mountain Alarm), they have an outstanding installation and tech support team that makes your DIY installation a breeze. Get unbeatable service, equipment and all -inclusive monitoring rates…Learn more about Link Interactive! Armorax DIY or Safetouch Professional Install? SafeTouch Security Systems are professionally installed, but whether or not professional installation is required for a wireless home security system is certainly debatable. One of the problems with professional installation is that you are required to live within their service area…which, as mentioned earlier is a relatively limited area. If you live outside the Florida or Georgia market… Armorax is you best choice by default. But, lets assume you reside within the SafeTouch service area. What happens if you relocate outside that very limited geography? That is one of the reasons why DIY alarms make so much sense in our mobile society. But, lets explore further. Today, there have been many advancements in modern wireless technologies that have resulted in simplifying and streamlining the entire alarm installation process. Reputable DIY Alarm Companies, like Armorax. pre-program, customize and configure the entire system before shipping it out…so installation is a snap. Basically, installation is little more than placing a few sensors and calling in to activate the system. While some may find it more convenient to just have someone else do it…there is a lot to be said for the satisfaction and savings of installing a DIY alarm system. As a matter of fact, over 90% of DIY alarm customers found the system “easy to install”. Much of our preliminary enthusiasm regarding Armorax has now decreased away considerably because the enterprise continues to show symptoms that it’s experiencing struggles. The Armorax BBB standing has recently declined- coming from an A (from the period of our original SafeTouch Security reviews) to a C+. During our secret shopping initiatives, we have discovered that even the sales department fails to pick up the phone. Inbound calls are greeted utilizing a voice mail which tells them to contact 911 should this be an emergency…or to remain on the line for the sales department. After several additional minutes on hold, one is inevitably greeted by means of an answering service which will take a name along with telephone number to get return call. This makes one wonder what will happen if I have a issues with my system? Additionally, Armorax seems to have switched manufacturers 3 times within the last year. They have flipped from the innovative 2 Gig lineup, temporarily offered the Interlogix Simon XT, and are also now providing the less popular Resolution Helix control panel. They have also dramatically changed their monitoring price plan 3x during the past calendar year. With regard to online Armorax reviews, you will see that no 2 web pages indicate the same pricing structure. They previously marketed no contract programs and also plans together with Cost-free equipment and monitoring rates as little as $19.99/mo. Then it was a $24.99/mo. all inclusive package package. Their active package will set you back $99.00 up front together with standard monitoring starts at $34.99…and the Mobile APP is extra! Additionally, the total lack of online transparency does nothing to inspire confidence. At the moment there is a a single page website that gives minimal information regarding the company track record, products, costs, monitoring provider as well as services, Mobile App, Installation guidelines and / or videos …or pretty much anything other than that which a prospective client will want to learn. Even though the company displayed excellent potential formerly, we’re no longer enthusiastic about them as a reliable alternative to SafeTouch Home Security. In our view, there are significantly better solutions. The original post, Armorax vs SafeTouch Security reviews, is listed below for comparison purposes. Armorax has a superior A BBB Rating They are fully accredited with the BBB , and have complied an impressive 88% positive reviews on the BBB reviews page. This translates to a 4.67 out of 5 stars! With SafeTouch Security, you will be required to pay a minimum of $99.00 up front for installation. Add-ons with the SafeTouch system can get pretty expensive. There is little transparency on the site, but professionally installed sensors typically cost about twice as much as their DIY counterparts. This can result in driving the costs up hundreds or even thousands of dollars. While they frequently advertise a $24.95 “teaser” monitoring rate, this is for landline service only…and requires pre-payment of of 3 year of service. SafeTouch monitoring rates range from $29.99 to $49.99. The lowest monthly rate is for bare bone landline monitoring. And who knows what the future holds….Their contrat contains an escalation provision which enables them to raise the rates after the first year. Armorax rates are locked in at $24.95/mo…..for the full 36 month agreement. And…you can lock in that rate if you want to renew the agreement. For $24.95 a month….who wouldn’t? In addition to the $99.00 installation fees, SafeTouch monthly monitoring rates can run up to $49.99. SafeTouch Security Systems require an upfront installation fee, and charge higher monitoring rates for packages that require additional services. Ultimately costing more than twice as much per month on more comprehensive packages. SafeTouch offers a full portfolio of security and home automation services through Alarm.com…but, only in their Secure Ultimate plan for $49.99. That Saves you a minimum of $100 up front and 50% off comparable SafeTouch monitoring rates! Can a pet trigger the motion sensor? Your standard Safetouch Security motion sensors will screen out pets under 40 pounds out if they’re properly positioned. In cases where you have a larger pet…ask your Safe Touch Alarm rep about detectors that offer “pet immunity” up to 80 pounds. In case you have a larger pet that can’t be restricted from areas covered by motion sensors, then you might even create a”pet alley”. Ask your technician for details. And finally, you may wish to think about a glass break detector as an alternative. Do I need a permit to install SafeTouch? Is it necessary to obtain a burglar alarm permit to install a SafeTouch security system? As it happens, you do not need a permit when the system is not professionally monitored. On the other hand, because your SafeTouch Security system is going to be remotely monitored with the objective of making use of emergency response assistance, several local municipalities would require a permit. Normally, this will require common registration with your area law enforcement or sheriff’s agency together with a moderate payment. One will likely be also instructed to produce the name, address and phone number SafeTouch, together with SafeTouch Security monitoring station numbers, if the two numbers are different. While most SafeTouch Security reviews fail to mention it, wherever permits will be required, just about all towns will require a 1 time service charge to enroll an individual’s home security system, although some cities mandate a yearly renewal also. With regard to cities with high robbery combined with false alarm rates, failure to register could lead to a refusal to respond to locations which do not possess an alarm permit…although this is certainly rather rare. Nevertheless, you may well be subject to other sorts of penalties should law enforcement officials, fire or perhaps emergency medical support end up being sent to a address with no permit present in towns where one is demanded. Regardless of whether a permit is actually purchased, the majority of cities are going to assess fees with regards to multiple false alarms. The vast majority of cities now have guidelines put in place in which the initial 1-2 dispatches won’t call for fines. After which fees usually increase from $25-50 to your initial enforceable offense…to $100-200 for succeeding repeat infractions. Therefore, it is vital SafeTouch Security system operators phone the town’s police department, learn what permits are needed, develop a thorough knowledge of the neighborhood policies and make sure they take the vital measures to avoid false alarms. Can Renters get a SafeTouch Alarm? Can renters get a SafeTouch Security system? They do not publish a clear policy that pertains to renters, but the most home security companies which provide expert design and installation call for home ownership. In cases where you’re renting a property, you’ll want to call them personally to get details. If you are approved, you may be expected to supply proof regarding property owner authorization. Most apartment owners choose one of the top DIY wireless alarm companies such as Frontpoint Security, Protect America Security or SimpliSafe Home Security. You can click on the links to get our in depth home security reviews. Should you be renting, you ought to take a look at our company’s Ultimate Guide to Apartment Security Systems – Best Alarm Systems for Apartment and Renters. We hope you find it helpful in selecting your apartment security system. Is a landline necessary for Safe Touch Security monitoring? SafeTouch Security monitoring does not require a landline. Cellular monitoring is the best method for monitoring a SafeTouch alarm system. There are no phone or cable wires that can be cut to stop a signal to the monitoring station. Even though some SafeTouch security reviews may object to higher costs associated with cellular monitoring, many SafeTouch alarm owners can defray some of the costs by eliminating the landline completely. While SafeTouch Security will not assess charges, as mentioned previously, false alarms resulting from a SafeTouch security system might be not just simply a hassle, but could create a distinct strain on your area law enforcement department as well as emergency services resources. At the end of the day, that could very well add up to costly fees and penalties. While very few SafeTouch Reviews will divulge this, the vast majority of police and fire dispatches are caused by false alarms. As a result, the majority of municipalities require charges to residences once they go over a specific number of false alarms. To prevent this from happening to you, these are some ideas to protect yourself from a false alarm with your SafeTouch system. • Make sure everyone knows how to disarm the security alarm. Your alarm is going to have a master passcode, along with a number of supplemental user codes which may be programmed into the system. Be sure everybody knows his or her code and can disarm the security system. • Be certain that that everyone also knows the security password. If there is an alarm, the SafeTouch central monitoring station is going to contact your property and ask for the security password to verify their identity. In the instance of an alarm, if they are unable to give you the correct password, the authorities are likely to be dispatched. • Confirm that all doors and windows are properly secured before arming the system. A door that has been left a little bit ajar can be blown open in your absence and set off the alarm. • Make sure that all devices are positioned safely and securely and in the correct positions. Motion detectors have to be installed at a height of 6’ and also clear of fans, heaters, fireplace and air conditioners. • Take into account things which may very well trigger a motion detector. It’s not only the pets ..Air conditioning units could cause fluttering draperies or plants…even helium balloons that may be moved around the residence by air currents. Confirm they are strapped down away from the motions. • If possible, your pets really should be restricted to zones removed from motion sensors. If that isn’t possible, you will find “pet friendly” or “pet immune” sensors which can screen out smaller sized pets below 40, 50 even 80 lbs. Motions can even be set up to generate pet alleys in which pets may move freely about. An alternative option is to employ glass break sensors as an alternative for motion detectors. • Be sure that you remove and replace batteries when needed. Nearly all security systems employ Lithium Ion batteries which generally have at the bare minimum a 2 year anticipated life expectancy. Your SafeTouch Security App will typically notify you the moment the batteries have become low and continue to alert you should there be less than roughly 1 month of effective life. It is wise to have extra batteries around and switch them out right away. Your SafeTouch Security system will likely inform you should there be just about any issue with sensors. Should you get a system fault warning, do a status check and examine the sensor. Get hold of SafeTouch in the event it looks like it’s not working. Make sure that your customer SafeTouch Alarm manuals/codes/passwords are stored in a very safe specified place where they can be checked if needed. And remember- the easiest way to avoid false alarms is to utilize your SafeTouch system on a regular basis and make certain that everybody is aware of how to operate the system. Although many people perceive a home security system as nothing more than a burglar alarm system, SafeTouch Reviews indicate that customers are embracing new technology installing more all-encompassing security, energy and home management systems. SafeTouch offers a wide range of technologies that enable customers to protect their homes and families against more than just break in. Keep an eye on CO Concentrations -Carbon monoxide can be described as colorless and odorless gas generated by inadequate combustion. Vapors coming from running car or truck engines, gas ovens, generators, inadequately operated heating systems, combusting timber as well as charcoal all can possibly be deadly in the event that they go undetected. In fact, it’s quite common for one dealing with CO poisoning to become nauseous, light headed, disoriented as well as too confused to summons emergency assistance. With SafeTouch carbon monoxide protection, your SafeTouch alarm system will make the call and avert disaster. Protect From Frozen Pipes- Are now living in an area where the temperatures continue to plummet below the freezing point in the winter months? A SafeTouch low temperature alarm can protect from the possibility of water pipes freezing in the event the furnace were to fail. The system is also going to inform you on your SafeTouch Security App in the event the temperature drops under forty degrees. Medical Emergencies- SafeTouch Security reviews signal a growing concern with providing emergency response to seniors. Medical alert pendants or watches enable one to immediately summons assistance in the event of an accident or healthcare emergency. Most of these wireless panic alert buttons can generally function within about 100’ of the base unit, and let the owner to talk directly with the well trained monitoring station operators if equipped with 2 way voice communication. It will also send a notification via the SafeTouch App to let you know immediately that there is a problem. So now you don’t need to supply a spare key to the dog walker or the plumber coming to take care of that dripping faucet. With Z-Wave compatible door locks tied into your SafeTouch Security system, you can open up the entrance the moment they come along …and secure back up again whenever they depart. No more misplaced keys or replacing locks any time a roommate leaves. Accessibility is all be governed within the SafeTouch home security system. The top benefit most people are looking for when it comes to a home security…Peace of Mind. SafeTouch Reviews show that many people sleep better knowing the household is safeguarded …and that they’ve got complete control over the property With their SafeTouch Security ssystem, regardless of whether they are home or away. To learn just how economical SafeTouch could be..get a free quote…and then compare them with our Top Rated Alarm Companies. OFF – Even when your SafeTouch alarm system is turned off, many of the sensors will still function. The chime feature will still alert you if a door or window that is equipped with a transmitter is opened. The Safe Touch App still functions and life and environmental safety systems (i.e. water or low temperature) are still active. Stay– The Safetouch home security system lets you activate the doors and windows in the “stay” mode. Instant – You can eliminate the entry delay on your SafeTouch security system by arming it in instant mode. Duress – You can set up a special duress code that will notify the monitoring center that there is a potential hostage situation. If you are already a Safetouch customer, please feel free to share your experiences in our section for Safetouch security reviews. Customer Safetouch reviews provide invaluable feedback for potential Safetouch alarm clients. Strategies to Prevent False Alarms with your SimpliSafe Security System. The majority of police and fire calls to residences with security systems are a result of false alarms. Consequently, most cities require charges to alarm system owners once they exceed a certain amount false alarms. To avoid this happening to you, here are some ideas to protect yourself from a false alarm with your SimpliSafe system. .• Make sure that everybody knows the way to disarm the security alarm. Your security alarm will have a master passcode, along with a number of additional individual codes that can be programmed into the system. Try to make sure that everybody knows their code and learns how to disarm the security system. • Be certain that everybody is also fully aware of the password. If there is an alarm, the central monitoring station will almost always contact your house first and ask for the security password to make sure that that the person responding to is really an authorized party. If there is an alarm, in cases where the individual answering the call can’t give you the exact security password, the police will likely be sent. • Be certain that every window and door is properly secured before setting the system. The alarm can easily be set off if a gust of wind blows open a door or window. • Ensure that all devices are placed safely and securely and in the most suitable places. Motion sensors should be set up at a height of 6’ and in an area that is devoid of fans, heating units, fireplace and air conditioning systems. • Be aware of items which might possibly set off a motion sensor. Pets are not the only culprits. Air conditioners might cause fluttering curtains or plants…even helium balloons can set off an alarm if they are carried around the your home because of air currents. Make sure they are tied down clear of motions. • Ideally, pets must really be limited to zones away from motion sensors. Any time that isn’t doable, there exist “pet friendly” or “pet immune” sensors which are able to screen out smaller sized pets below 40, 50 even 80 lbs. Motions can also be set up to generate pet alleys where pets can move about freely . Another option is to utilize glass break sensors as opposed to motions. • You’ll want to replace batteries when needed. The majority of alarm systems utilize Li -Ion batteries which usually have at the very least a 2 year likely lifespan. Your SimpliSafe control panel or SimpliSafe App, will usually alert you as soon as the batteries are becoming low not to mention warn you if there’s about thirty days of effective life. It may be beneficial to keep surplus batteries on hand and switch them out right away. Your system will also alert you should there be any other troubles with sensors. In the event you receive system error notification, conduct a status check and check out the sensor. Get hold of SimpliSafe customer service if it looks like it’s not working. Store user manuals/codes/passwords in specific location where they can be checked if needed. Ultimately, the best way to avert false alarms is to utilize your SimpliSafe Alarm system on a consistent basis and make certain everyone understands how to operate the system. There are a variety of basic questions you must think about before selecting SafeTouch Security. Given that you are committing to a 3 year contract with a 2 year auto-renewal clause, it is essential to look at a handful of conditions prior to you signing any contract. One of the most important considerations is whether or not you need to pay anyone for professional installation. Do-it-yourself versus SafeTouch Professional Installation? Among the first issues to consider is whether you would like to put in the unit personally or pay money for a professional installation. In the past, systems would have to be hard wired directly into the your house. This could involve drilling along with cutting holes into the walls, fishing wiring and complicated mounting and extensive programming. However…times surely have changed. Even the providers which professionally install the systems are generally utilizing primarily wireless equipment. In addition, the technology continues to be significantly improved upon over time to help make the products amazingly simple to use…and install. Even better- the more capable DIY security alarm providers have vastly streamlined the set up process to make it uncomplicated for even the most technically challenged people. The more desirable companies pre-program the entire system before mailing it out, to make certain that all the operator has to do is place the equipment and simply contact customer service to get the system activated. More than 90% customers revealed our best DIY security alarms systems of 2017 straightforward to set up! While a professionally installed system might require a bot less effort, the great majority learned that the equipment furnished via the recommended DIY alarm system providers was very easy to put up, simple to use and ended up saving every one of them a substantial sum over a professionally installed system. For those who go with professional installation, you might first want to compare them with a more established, national company that installs ADT Home Security. If after reading the SafeTouch reviews you want to proceed, make sure you inquire how seasoned your SafeTouch tech is as well as whether they have previously been background checked and are undergone drug screening. Ask whether or not the company has got their own employees or possibly uses Third party subcontractors. Using sub-contractors is not actually always bad (they may also have more expertise compared to company employees) nonetheless be sure they ought to have actually undergone comprehensive screening prior to permitting them inside your home. When searching for the right security provider that will help watch over your property, we recommend selecting a nation wide security alarm company that has a reliable historical background. In a a mobile culture, who knows when we may be required to move…and desire to secure a residence within yet another portion of country. SafeTouch Security only services the south east. No one wants to be tied to a contract with a smaller regional security service provider that only provides you with services within the restricted geographic home market. SafeTouch reviews indicate potential problems with terminating contracts when relocating. This is not a problem with our top rated nationwide security providers. Is SafeTouch Security easy to control? SafeTouch systems have advanced tremendously in the last few years. Among the best things about innovations SafeTouch places a substantial amount of focus on making the system easier to use. SafeTouch utilizes streamlined touchscreen technology which is user-friendly and will prompt through the most common functions like for example arming, disarming, bypassing zones etc.. The SafeTouch Security App is a fully built-in interactive smart phone app complete with home automation capacities that enable you to keep on top of your house from anywhere on the planet with computer access. Quite a few platforms are even incorporating speech control capabilities via their own products, Google Home or Alexa. These assist you to complete common tasks simply by giving some sort of voice instructions. Although you may find that SafeTouch reviews might point to issues with installations, services or perhaps billing matters, you’ll rarely find SafeTouch Security Reviews that will complains that the SafeTouch Alarms is hard to control. How Long Will It Really Take for SafeTouch Security to Respond to an Intrusion? Despite the fact that nearly every provider promises to provide the quickest reaction times in the industry, you should recognize how to decipher these types of assertions. Your SafeTouch Security system will likely ordinarily employ a 30-60 second entrance delay for your main entrance to be able to enable you a chance to disarm alarm. SafeTouch can also be placed on “Instant” mode in the event everybody is home. Typically the siren will go off right after whatever delay if your system is not disarmed. The SafeTouch monitoring center reaction times are usually calculated from the time that an alert is received to the instance the dispatcher calls the home to verify the alert. This period definitely should turn out to be inside a 60 seconds. Whenever nobody picks up from the residence, normally the SafeTouch security operator will seek to contact someone on the emergency contact list …and they then dispatch the authorities. 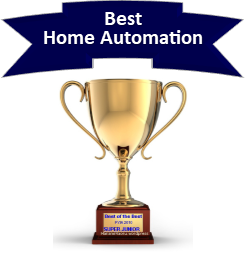 Although you can find SafeTouch reviews which complain about higher than average reaction times, almost all the leading home security suppliers can do a first rate job – as long as things are working properly. SafeTouch customer service suggests that your alarm system be subjected to testing every week or at a minimum on a monthly basis to assure alarm as well as communications are really performing correctly. Nationally, the normal response period by the police is roughly 7 minutes, but, this may deviate dramatically dependent upon the specific location of your house, the type of the emergency situation, whether there’s audio or possibly video verification (through SafeTouch cameras and the SafeTouch Security App) along with the ongoing demand and even accessibility of neighboring emergency assistance during the time of the call. If you SafeTouch and cab offer insights on the SafeTouch security real life response times, please be sure to share your experience with our readers in the SafeTouch security reviews. During a power disruption, does SafeTouch continue to operate? The SafeTouch Security system provides you with a battery back up system that can run the system in case of an electric power failure. The back up power supply might be rated for twenty-four hours in the majority of SafeTouch Security reviews, however that can vary greatly in accordance with the size of the system , settings along with equipment.. When the SafeTouch system converts to back up power, the system would certainly beep in order to alert you as well as a request you to key in your main code. The system might also notify you through text or e-mail if you have set up remote updates through the SafeTouch Security App. The following some easy steps to protect your property from intruders. 1. Create the impression that you are home by using electronic timers with lighting, radios and TV’s. Making the house appear occupied, regardless of whether no one is home, will certainly dissuade burglars. 2. If you’re going away, have a neighbor pick up the newspaper. Suspend mail delivery as well as schedule to have the lawn cut or driveway shoveled. 3. Have shades drawn in areas with particularly high-priced equipment. 4. Give a spare set of keys to a dependable neighbor. Don’t leave them under a door mat, over the front door or even beneath a plant pot. 5. You should not leave a message announcing travel plans on the answering machine, e-mail auto-responder, or on social media sites. Do let the police and a trusted neighbor know.. and then have him or her monitor your property when you are away. Consider a professionally monitored security system from one of the top alarm companies. It will help reduce the chances of an attempted burglary, and provide you with a number of other life safety benefits that will enhance ones sense of security and give you 24/7 peace of mind! Thank you for visiting! Please feel free to share our SafeTouch Security Reviews , below or follow us, above. If you or someone you know has experience with SafeTouch Security Systems, we hope you will share that experience in our Customer Reviews.